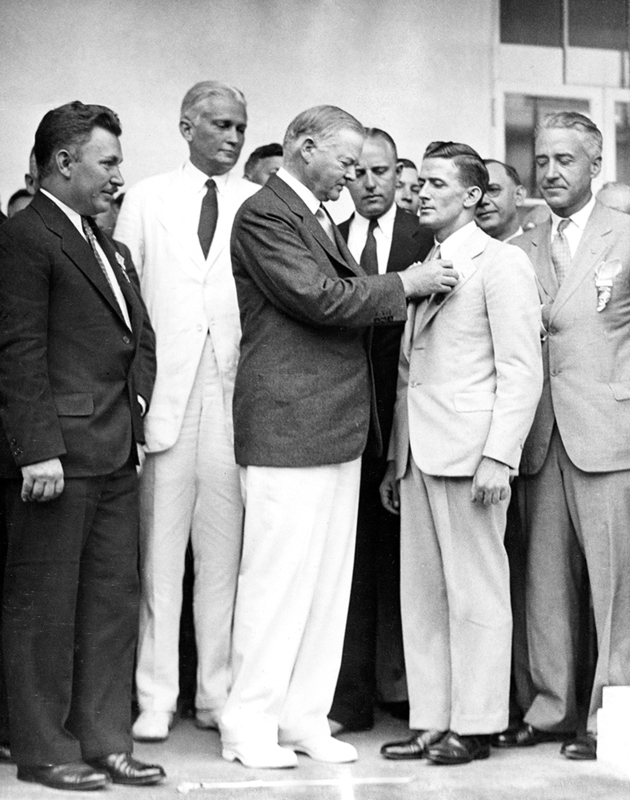 Gatty receives the Distinguished Flying Cross from President Herbert Hoover at the White House on August 18, 1932. This was an exceptional honor for a noncitizen. Hoover offered to push special legislation to grant U.S. citizenship to Tasmanian-born Gatty, but he refused the offer.